While at the grocery a short time ago I was passing through the deli area. They were stocking the cheeses and I noticed that the large rounds of cheese came in wooden boxes. I asked for a box thinking it might be a good prop for a small layout. During the past week I have built that small layout. I chose Ratatouille figures as they just seemed appropriate. I needed a new little critter engineered by a rat to operate on the layout. Last edited by Bob Roegge on Fri Dec 04, 2015 6:19 pm, edited 1 time in total. OH MY GOODNESS! I laughed out loud while looking through the pictures. What a neat little layout. Thanks all for the kind comments. The layout took me away from my castle project for the past week. Glad the distraction is well received. The little critter has to stop now for a wind up. OK I'll bite. That is not really a clockwork motor that has to be wound, right? Not a clockwork motor. Critter was built around a Bachmann N gauge Plymouth switcher mechanism. Mostly cardstock and wood. Very cool and well built. Rodents do add interest! superb. This is where model railways meets art. I know there are too many in hobby who consider fun layouts are beneath them, but fun layouts get far more interest at exhibitions, quite often those who we want to attract into the hobby. Got some ideas, those large boxes seem to be more common in USA. Only can find small boxes here. Funny as I do remember some bigger ones, pizza size being used here in the past. It is not very difficult to get large cheeseboxes, if you ask at the right shops. Not nessessarely at the next El Cheop supermarket down the road. And of course, you can always build your own box, if you really need one. 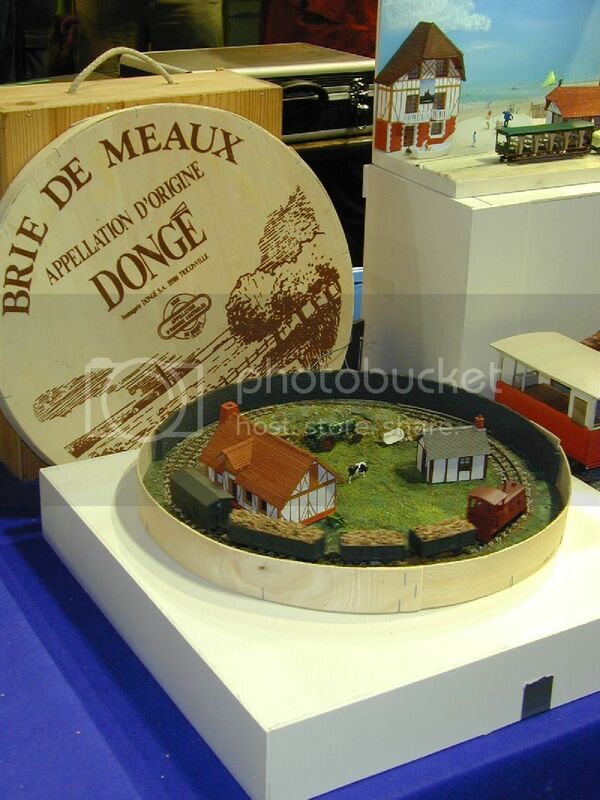 Found this cheesebox layout at Railexpo in France some years ago. 2008 I believe. Bob arranged the well known and popular Ratatouille charakters around a cheese theme. That makes perfectly sense. What else should mice transport on a railway? A very charming and amusing little layout. I doubt, that it will draw any newcomers into the modelrairoad hobby. But it will make many onlookers happy for a moment. And it proofs, that some modellers actually have humor and dare to show it. Please sign me and the hamster in for the Bob Roegge Fan Club. Bob - I took the liberty of posting a link to this thread over on the Narrow Gauge Railway Modelling Online site. So far it's garnered 9 'likes' and quite a few positive comments. You have a warped mind - but I like it! Juergen , I remember seeing something about that layout. Wasn't it a response to some of our 'pizza box ' layouts. I have tried to find large round cheese boxes online(even in French), but can not find any except a few in USA. Odd as some company must be manufacturing them, and selling them. I have been lucky with other 'trade' supplier items. thanks Gerry. I am usually lucky searching on ebay, but for some reason nothing there. It does not have an online ordering page. Also I misread the dimensions and added an extra zero, so the boxes seemed much bigger. I am sure there are even bigger ones somewhere. 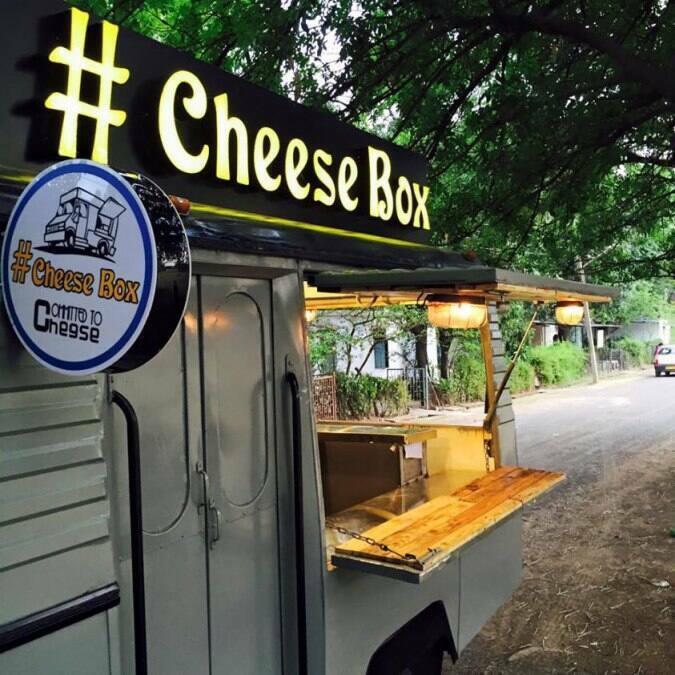 If you seriously are looking for huge cheeseboxes, forget Ebay. Simply contact some cheese makers. The very often have large display boxes for shop windows or trade fairs. Don´t mention you plan to keep mice in them. Tell them it is for your cat.